Do you want to know what is Nettle? How it can help with anxiety and stress management? I am sure you want to know that, because you are here ready to read this post about this amazing herb. You can even find great Nettle supplements here and find the one that is best for you. Stress and anxiety nowadays are everywhere and it’s hard not feel affected by them. I know that feeling and I am sure that many people struggle with keeping chronic stress and anxiety at bay. It isn’t easy for sure even if there are a lot of different ways to reduce and manage stress and anxiety. If you are healthy, you are more resistant to stress so this is why it’s important to eat a healthy diet and make a healthy lifestyle choice. We all know that without our health nothing really matters and we can’t be truly happy if we are fighting illnesses that stress or something else cause. Taking herbal supplements is a great way to deal with stress, curb your anxiety and just feel more happy and healthy. That is the reason why I talk about herbal supplements a lot and Nettle is one of many herbal remedies that can help you with these issues. This plant (Urtica dioica) is a perennial herb that is originated in Eurasia, but now it’s all over much of the world. It is also known as a Common Nettle or Stinging Nettle. Nettle has been used in tea, food, traditional remedies, as a dye plant, as a fiber source and a rejuvenating spring tonic for centuries and its uses has been documented from as far as the Bronze Age. As you see this plant has a long history of use, and ancient societies even used Nettle as a textile raw material. Every part of this plant (leaves, seeds, and roots) can be used and is valuable. 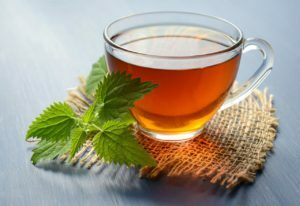 Drinking Nettle tea could have helped you with stress management because nettle infusion or tea can add stress-reducing nutrients into your diet. Did you remember that I told you that herbal remedies can help with stress reduction because if you are healthy, you are more resistant to stress? I am sure you do. This plant is beneficial for reducing stress-related inflammation and surely you can feel better after using Nettle for your health. Nettle has many great properties that can help you improve your health and well-being. Nettle is a micro-nutrient rich greet food that can build tissues, blood, and fuel our bodies to work properly. It contains serotonin and acetylcholine that can be great for your body. But never overuse it, because that can lead to greater adrenal fatigue and even put your body in a constant flight or fight mode what is experienced when you feel stressed. Here you can find three best Nettle supplements that can help you with your health and anxiety and stress management. Description: This supplement is a high-quality organic product with a herbaceous, faint aroma. It has a pleasant flavor with a slightly salty, bitter taste. You can use Stinging Nettle as a wonderful tea for your health or you can use it in shampoos and hair rinses. A herbaceous aroma and pleasant flavor with a slightly bitter and salty taste. Description: This supplement contains carefully produced Nettle Leaf extract and Cold Bio-Chelated proprietary extraction process was used to make this product. It is super concentrated 2,000 mg Nettle extract that provides all the benefits of Nettle. It can help you by maintaining the health of the urinary tract and prostate health. The Advanced Botanical Fingerprint Technology is used to assure you of the quality of the botanical ingredients in this supplement. By comparing and analyzing the purity and quality of every botanical Nature’s Answer formulated this super concentrated Nettle Leaf Extract and other great supplements. Description: This supplement contains Stinging Nettle root extract. Each capsule offers 250 mg of Nettle root extract. This Stinging Nettle Root is produced in a GMP facility to meet the highest European standards. This plant has been used since the day of Caesar that is 2000 years ago. But now it is more researched and the supplements are created to get benefits of this amazing herb. 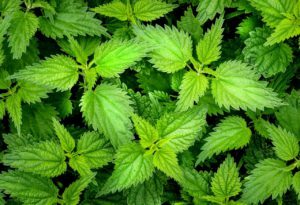 Now you know what is Nettle even if you didn’t know this amazing herb before and you also read about three great supplements that may help you feel better and manage your stress and anxiety better. 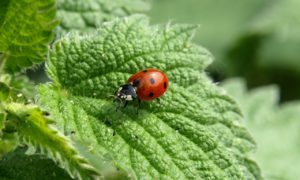 Stinging Nettle is a wonderful herb that can really help you and it was used for centuries in tea, food and herbal remedies. So it is time to remember this amazing herb and use for our benefit. As you have read above, Nettle has some benefits, including stress-reducing nutrients, reduction of stress-related inflammation and treating fatigue. It seems that Nettle can really help with stress relief and it’s not only related to improving your health and this way to change your ability to deal with stress better. But Nettle really can help with stress symptoms and before you even experience chronic stress so it is truly important to remember this herb and its benefits. 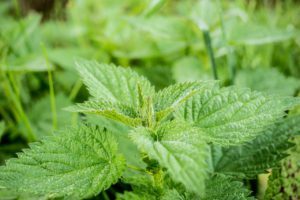 What did you think about these best Stinging Nettle supplements? Did you use Nettle and its supplements before? How did you feel after? Let me know below! If you want to get best Stinging Nettle supplement, CLICK HERE for more information.